This is both a Battery Rectifier (BR) for charging lead-acid, Ni-car and sealed type batteries, and a Service Rectifier (SR) for supplying DC loads. 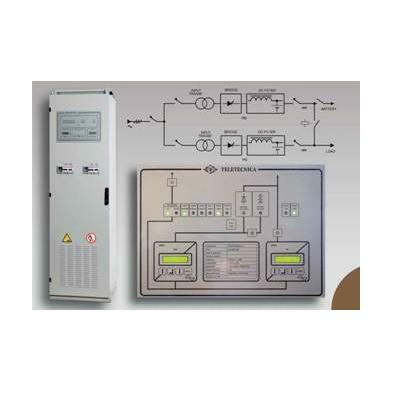 It has a Bus-Tie connection in case of voltage loss or failure of one rectifier with an optional output diode. It has natural convection cooling and is highly reliable and efficient.